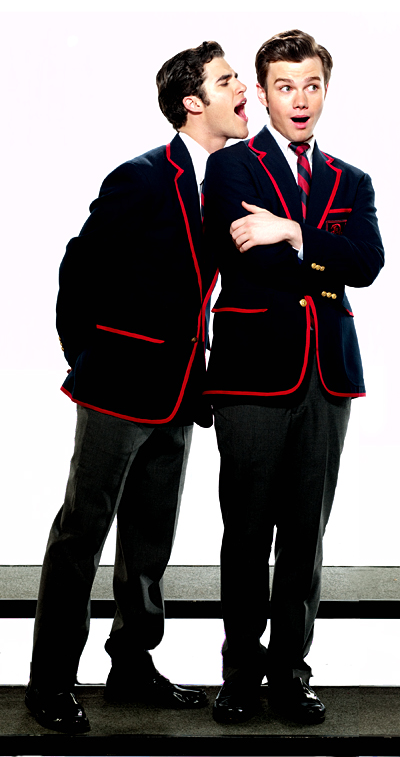 Warblers album art outtakes!. . Wallpaper and background images in the Kurt and Blaine club tagged: glee season 2 darren criss chris colfer klaine blaine kurt. 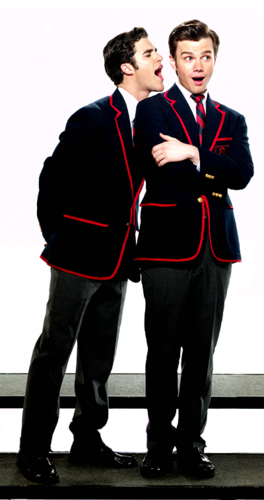 This Kurt and Blaine photo contains business suit, dress blues, dress whites, and full dress uniform. There might also be three piece suit, slack suit, two piece, two piece suit, and lounge suit.